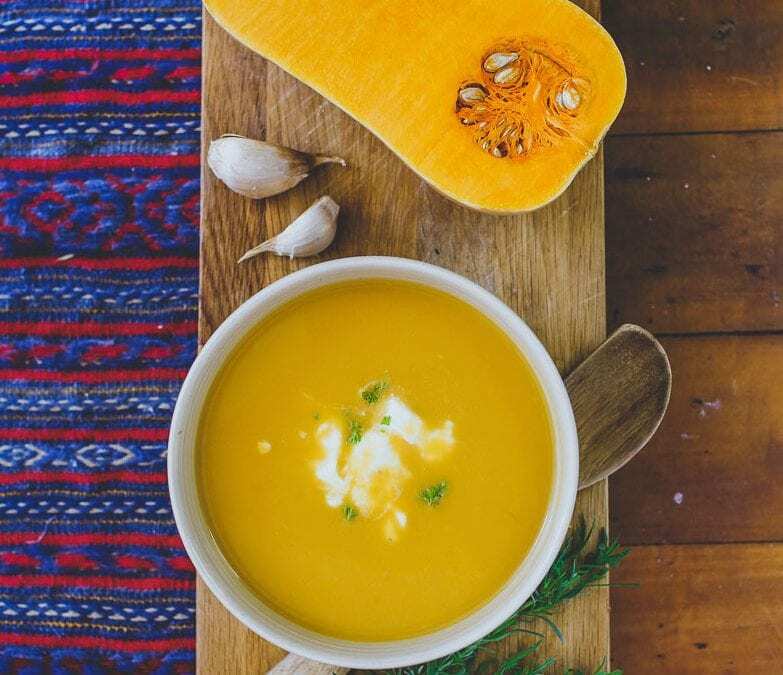 Anti-inflammatory through the addition of ginger and turmeric, this soup is truly warming and satisfying. On medium to low heat, sauté onion in coconut oil or ghee for approximately 10 minutes, or until soft. Add the rest of the ingredients and bring to the boil. Once boiling, lower heat and simmer with lid on for 15-20 minutes. Once cooked, blend soup till creamy using a stick blender. Season with salt and pepper, tamari and cayenne pepper. Mix and serve. Note: If you find it challenging or overly time-consuming to skin the pumpkin you can roast the pieces in the oven till soft. Once cooked, remove the skin and use the flesh. And if you would like to try some of her yummy food, book into a relaxation & yoga retreat at billabong retreat and enjoy her lovely organic delicious meals.